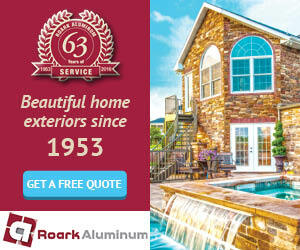 Roark Aluminum is one of the oldest businesses in Jefferson City, offering high quality, custom home exterior work on siding, windows, gutters, doors, and more. They are well-respected; in their early years, everyone in Jefferson City used them. Now, “Grandpa” still does, but the younger generation is shopping more at Home Depot and other box stores. In order to survive, Roark knew they needed to find a way to grow their brand and deliver their message to a younger demographic. Roark was still getting business from the aging base of regular clientele, but they were struggling to keep crews working full time or projects booked in advance. Roark Aluminum had no website or no social media presence. Digital was a natural fit to meet goals and grow the business. Three weeks later, the display advertising campaign launched, and Roark had developed a system to handle the lead volume and still offer the same high quality work and customer service they’ve been known for in Jefferson City. Their monthly ROI ranges from a 5 to 15 times revenue return on advertising expense. Projects have been booked out months in advance, and crews were busy all winter (normally a slow time). Roark Aluminum is thrilled with the results of this digital overhaul and advertising campaign!